Sonic will be selling their All-American and Chili Cheese Hot Dogs for $1 each this Wednesday, March 16, 2016 at participating locations, while supplies last. To take advantage of the deal, you have to mention it when ordering. The Footlong versions of the hot dogs are not valid for the promotion. Both hot dogs normally go for around $2. 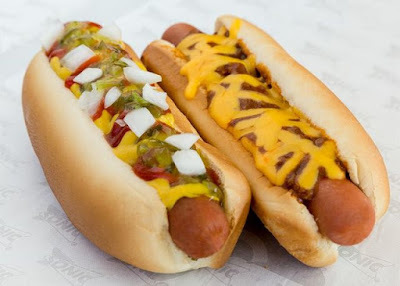 Each features an all-beef hot dog but the Chili Cheese comes topped with chili and shredded cheddar cheese, while the All-American Dog is finished with ketchup, yellow mustard, relish, and chopped onions.